Perhaps to the global market, in 1986, a pickup-based station wagon was certainly not posh enough to classify as a status symbol. But as far as Texas was concerned, a Mercedes-Benz and Jaguar could not fit nine passengers comfortably for a fraction of the price. 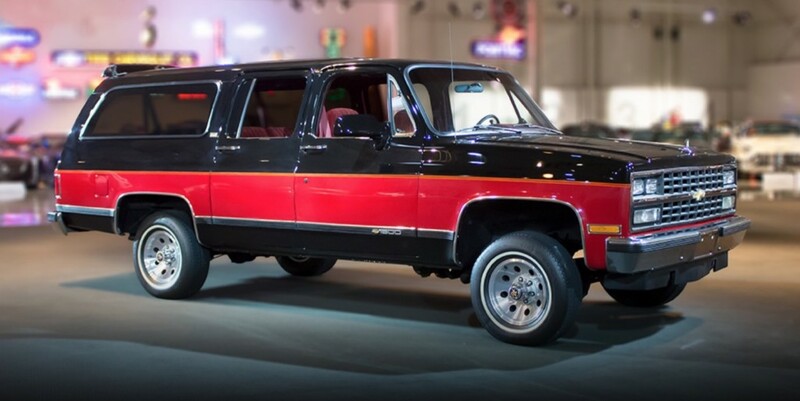 What’s more, the 1986 Chevrolet Suburban’s 47-foot turning radius was definitely not a problem for the Lone Star state’s wide country roads. 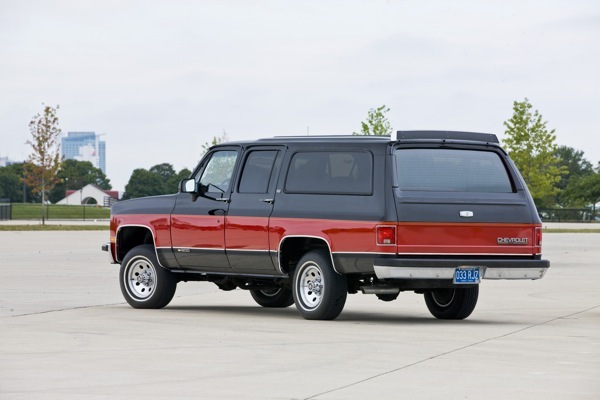 To refresh our memory, Motor Week posted a retro review on the 1986 Chevrolet Suburban Diesel earlier this week, on Christmas day. Once reserved for road maintenance crews, it quickly turned into a ‘top-draw’ status symbol after just a few facelifts. 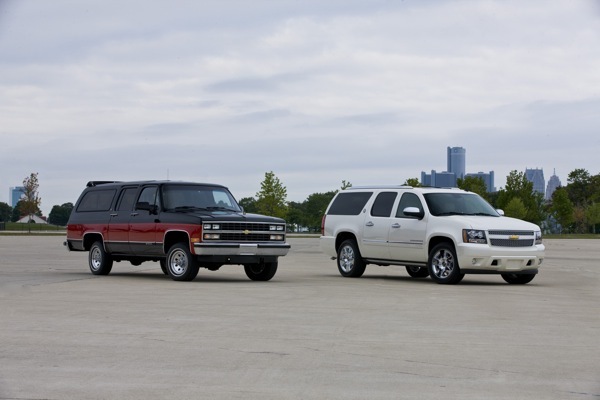 Of the 50,000 Suburbans made each year, a full 30 percent are sold in Texas. 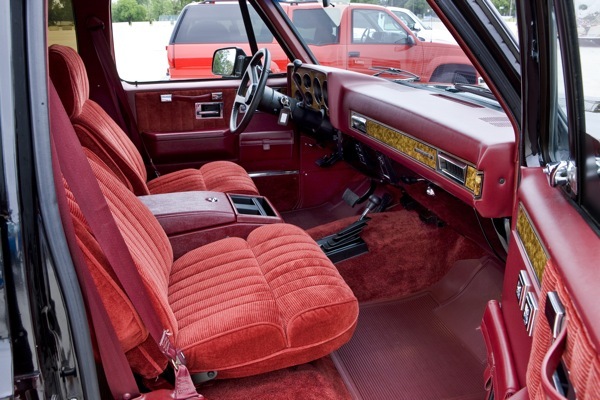 This wagon may have cloth upholstery and a dash from the seventies, but it earned itself a solid spot in the station wagon segment of yesteryear. It has an immense towing capability (enough to tow a medium tugboat), maintains a comfortable ride, and is equipped with a 6.2-liter diesel V8 engine. 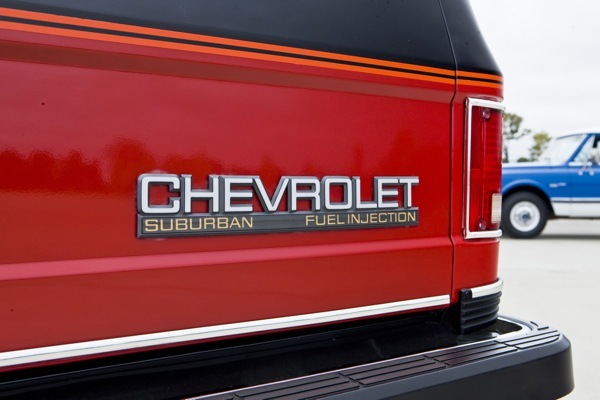 It may only deliver 130 horsepower, but the diesel Chevrolet Suburban pushes out a full 240 pound-feet of torque. 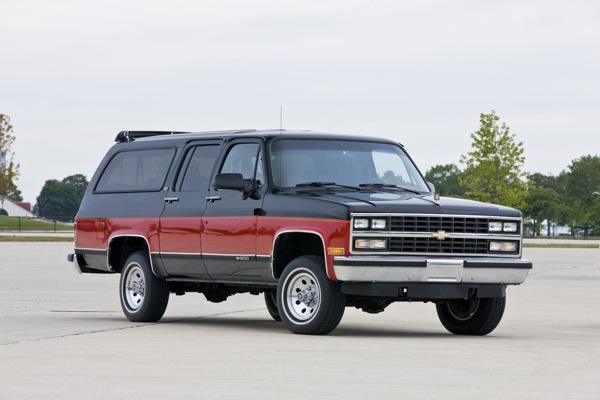 The 1986 Chevrolet Suburban Diesel could go 23-25 MPG (using the old EPA system) and reach 60 mph in an eventual 15.1 seconds. The wagon’s tailgate came with a roll-down window and an optional rear heater. The 5,700-pounds of empty weight provided a surprisingly high-quality ride as well. With a price tag of $21,000 at the time, Americans really couldn’t ask for more; it was a great value that many people took advantage of and still recognize today. After all, the current-generation Chevrolet Suburban is still going strong and remains a popular buy among Chevrolet consumers, and a dominant force in the segment. 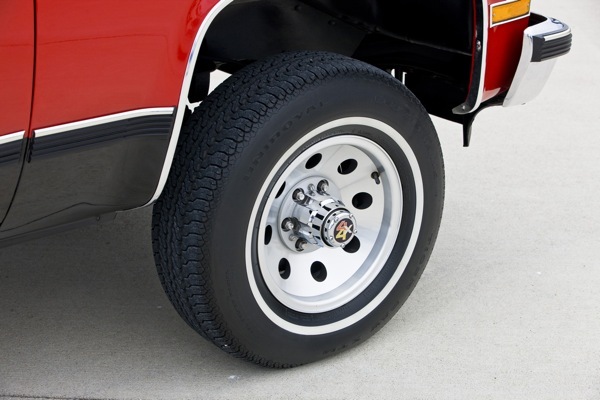 Stay tuned to GM Authority for more Chevrolet news and Chevrolet Suburban news. We had one just like the Suburban in that photo, except it was all black. I love that body style. The new 3.0 Liter Duramax Inline six diesel will most likely be an available engine option in the next generation 2020 MY Chevrolet Suburban once its unveiled next year, perhaps as soon as January. Can’t wait! Might I add that a Premier Suburban is still a status symbol in Texas nearly 33 years later. I have an ’88, ’90 and an ’85 suburban and a ’85 silverado. Love them best trucks I have ever owned. When I find one of the square style cheap I pick it up for parts or to keep for restoring. I’ll take that 86 over the new one any day! It’s vehicles like this that should be back out on the road.